Multiple tabs, sessions and connections for Putty"
When you tell PuTTY this is equal with SSH connections. It is a basic and reliable program to connect to Linux servers and work in command line. SuperPuTTY is an improvement on the PuTTY program. Besides the Telnet and SSH Client support, it also incorporates the support of other types of widely accepted protocols including the SSH, SSH2, Telnet and more. This gives it a one-stop advantage for all your networking purposes. It is a fork of PuTTy, so this program is required too. It can be used in conjunction with Gns3. Another popular alternative is KiTTY. If you work with more than one server, this is a great advantage. It manages several sessions on one single interface and you can switch between them using tabs. The benefits that come with installing this program is just laudable. The functionality that allows for import and export of sessions and even saving the layouts for later actioning is a welcome add-on. 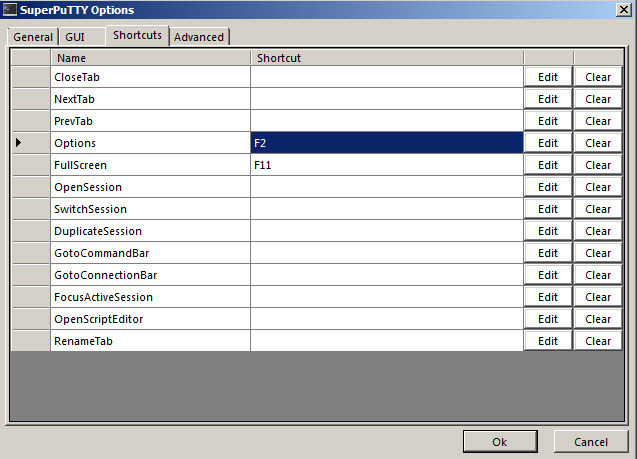 The protocols and hosts that have been used in the different sessions can be switched from one to the other by a click of the mouse. Better still, the GUI interface enables you to link your computer to other remote computers while controlling and monitoring all of them from one point by just clicking your mouse. SuperPuTTY is licensed as freeware for PC or laptop with Windows 32 bit and 64 bit operating system. It is in ssh clients category and is available to all software users as a free download.